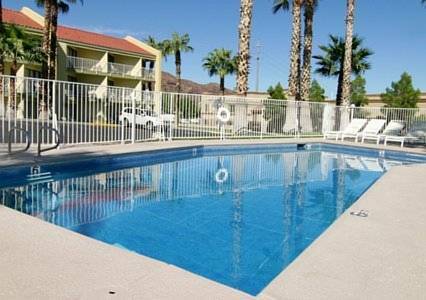 Less than 5 minutes from beaches, boating and water sports on Lake Mead. Only 10 minutes from Hoover Dam and the Mike O'Callaghan-Pat Tillman Memorial Bridge. Great recreational facilities nearby for gollfing, biking and hiking. Historical District nearby. Children's water park and fishing pond and dog park nearby. Less than 30 minutes from the Las Vegas Strip. Pet accommodation: 20.00 USD/night per dog. Pet limit: 2 dogs per room 45 lbs or less. Please contact the hotel for pet arrangements other than dogs.